For this year’s Kon Tiki at Clear Lake, Troop 353 learned some valuable lessons. First of all, we learned that we needed our own vessel to fully participate in the raft race. Second, we learned that Kon Tikis can be fun multi-faceted events that can yield interesting benefits. Third, we learned that the weather conditions can change quickly. What was a beautiful day on Saturday, turned out to be a very wet Sunday morning! Troop 353 made the most of it and managed to prepare some good grub and, as always, enjoyed telling scary stories around the campfire (yes, amidst a light rain!). 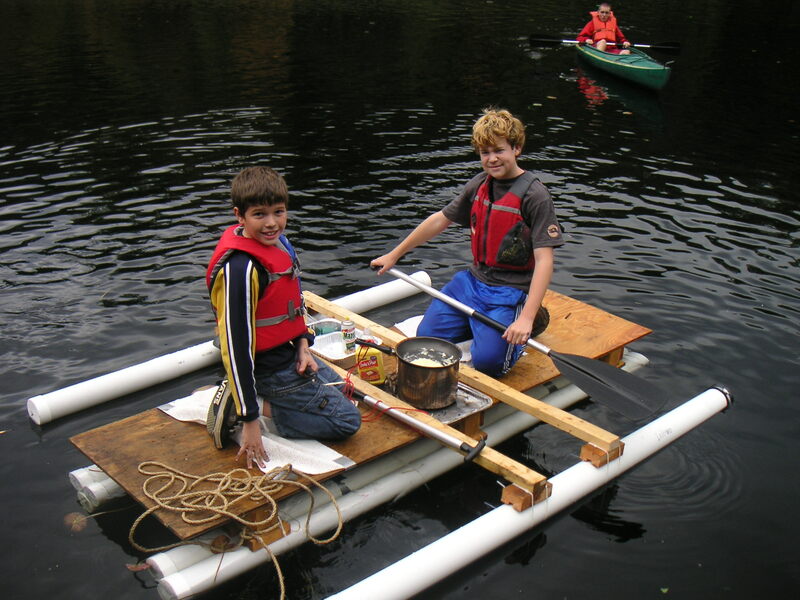 Next year (2007), troop 353 is determined to have its own Kon Tiki raft! For more photos of the interesting weekend, click Kon Tiki Pics here! Author scoutmasterPosted on September 30, 2006 April 22, 2009 Categories Acquatics, Camping, Clear Lake, Durland Scout Camp, Hiking, PhotosLeave a comment on Kon Tiki! Be Prepared?